Women's youth basketball in Croatia is rising on the recent success of the women's senior team at the 2012 Olympic Games participation. 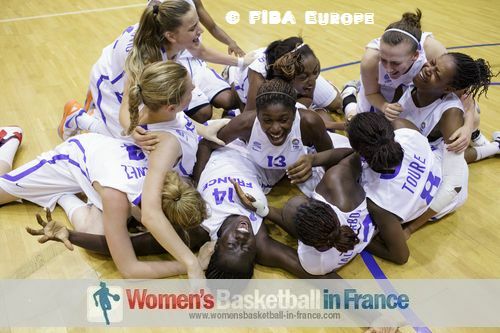 Hence Croatia are hosting the 2013 FIBA Europe U18 European Championship for Women Division A. The tournament is played between 15 August and 25 August 2013 in two towns 20km (12 miles) apart, Vukovar and Vinkovci. On the same dates the Division B event which has 19 teams this time is staged in Miskolc in Hungary. A third European Championship, called the Division C championship, is held in Andorra on a date yet to be decided. The competition format is identical to 2012 with three teams going down to and three teams coming up from Division B. In Division A the last placed team from each group at the end of the preliminary round must play in the relegation round. The winner of the relegation round stays in Division A for the next edition while the other three teams are relegated to Division B. Winning promotion from Division B is more straight forward, with the three medallists gaining promotion. France are the U18 defending Champions and start their defense of the trophy in Group D with Italy, Slovenia and the Slovak Republic. Since 2009, France's record at this age group has been good with two third-place finishes and a silver and gold medal in this competition. They are one of the favourites for the title again. Group B is the most interesting group with the hosts Croatia taking on Spain, Russia and Division A newcomers England. The Division B tournament with 19 teams is going to be one of the toughest tournaments in recent years with so many players having Division A tournament experience.